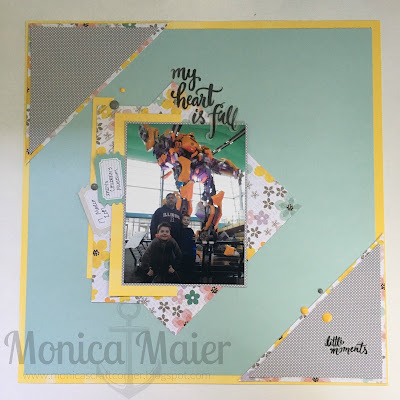 Since parts of our house are currently under construction, I'm trying to make good use of my time hanging out in my craft room. I'm also trying to work on getting more scrapbook layouts done and with challenge inspirations! 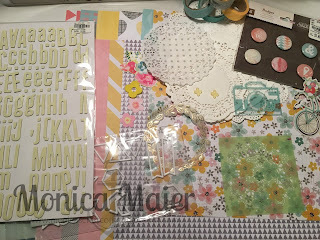 I have primarily used my blog for my cards, but it does say craft corner in the name... So why not show more of what I make! 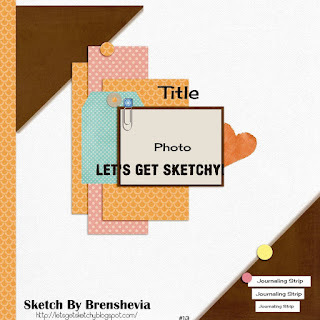 I used this layout form Let's Get Sketchy to put my page together. beautiful title and page! Good luck with your house reno too! Thanks for joining us at LGS! Wonderful take on the sketch-love the color combo you chose! Great take on the sketch! I like the pops of yellow! Thanks for joining in at Let's get Sketchy! Very nice, I like the way you incorporated triangles in the center as well as at the corners. Fantastic kit and a great take on the sketch. We are so happy to have you at CKC. Good plan, hiding out in the craft room. Lovely layout, thanks so much for joining in with us at Let's Get Sketchy. Keep hiding! Love your take on the challenge. Thanks for joining in with us at Let's Get Sketchy this month. Great take on the sketch. Thanks for playing along with LGS. Fabulous layout! Love the layering and detailing! Thanks for playing along with us at Let's Get Sketchy! Great take on the sketch, thanks so much for joining us at LGS, we love having you there!